This is a typical appearance of osteoarthritis (arthrosis) of the temporomandibular joint. 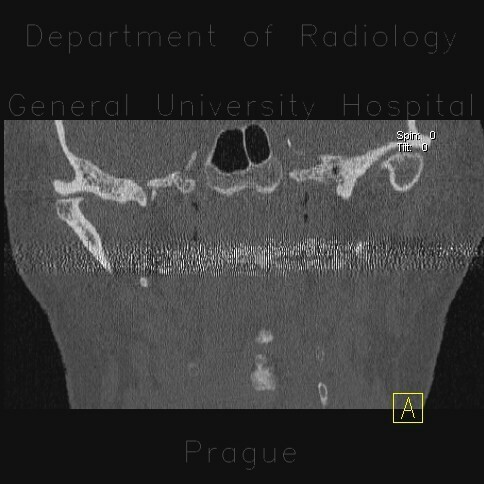 It is more pronounced on the right side - the articular surface of the right mandibular head has irregular uneven surface with tiny cysts. What is typical is an osteophyte pointing medially and anteriorly.